I am guessing that block explorer will basically the same. EEEK Sorry man, hate to see comments go unanswered for so long.. May I ask, have you updated recently you mean, like very recently? There was a small last minute fix we made.. Just though we should have given it a new verion name! Something to remember for next time... But yes if you updated 2 days ago you should be okay mate. Thanks for letting us know, I have added the cryptomagnet pool to the list of pools. Hmmm.... One of the pools have been upgraded a week ago. 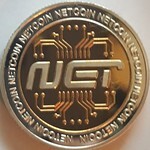 In order to upgrade to the very very latest do I need to update netcoind only and restart or re-download the blockchain again? When you downloaded the blockchain with the last mandatory update you don't have to download it again with the very latest update. Just download and compile netcoind again and start it. Not that it REALLY matters but a great way to know that you have THEE latest client is looks in services section and shops tab. If you don't see UNB Auctions there then you should update. Jim Blasko added us to the auctions, he still needs to do the logo on his site but is good to use on there. Yeah seems you have your answer now but we found a little bug where the client was talking to the old chain so we fixed that, you don't need to redownload blocks as yogi pointed out. Got a working netcoind first shot......no edits to the make required.